For Abrams Spotlight Productions Inc., community drives every aspect of the organization. It is what makes ASPI a true community theater. Board Advisory Member and “Annie” Technical Director, David Jolly says it best, “This really is a community owned theater. We want to encourage people to take ownership… and feel like they are a part of it.” This feeling of when you walk through the door you can say “this is my theater” and know that you contributed to its success. ASPI would not be possible without support from the community, with volunteers contributing their time, resources, and many talents. With so many talents within the community, there is a job for anyone and every talent is valuable to the theater. From acting and singing to woodworking, sewing, being tech savvy, greeting, and so much more, everyone is important in making a production come to life. ASPI is also very fortunate to have a community that is so willing to not only share their talents, but also their resources. Contributions from cast members and community members, by lending set pieces such as furniture diminishes costs that would otherwise take away from the theater’s budget. 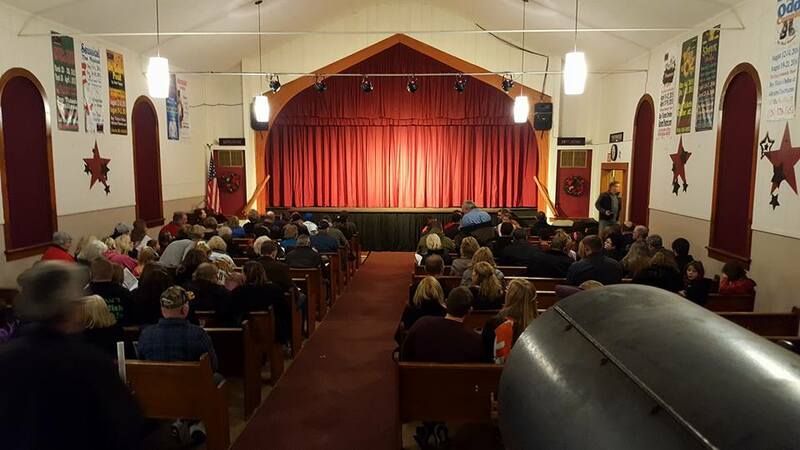 This generosity helps our small-town theater deliver high quality productions. Through the productions, ASPI seeks to support educational opportunities for the community. There is so much to learn from theater and opportunities for growth. The theater seeks to not only educate its members on theater terminology, but also to teach about what it means to perform and to give each person the opportunity to grow in confidence. While it is ASPI’s mission to serve the greater community, the theater community itself is like one giant family. Many of the families involved in ASPI comment on the friendships that are developed through their involvement in the theater. There is a friendliness and a welcoming environment that keeps families and volunteers involved and coming back for more. Want to learn more about ASPI or want more information about how you can volunteer your time and talents, contact the box office at (920) 826-5852. This entry was posted in Uncategorized on March 27, 2017 by packerland.